There is a tendency when looking at innovation to focus on the end result of a process of creation rather than as one node in a larger body of activity, yet expanding our frame of reference to see these connections innovation starts to look look much more like an ecosystem than a simple outcome. This first in a series examines innovation ecology from the place of ideas. Ideas are the kindling that fuels innovation. Without good ideas, bold ideas, and ideas that have the potential to move our thinking, actions and products further we are left with the status quo: what is, rather than what might be. What is often missed in the discussion of ideas is the backstory and connections between thoughts that lead to the ideas that may eventually lead to something that becomes an innovation*. This inattention to (or unawareness of) this back story might contribute to reasons why many think they are uncreative or believe they have low innovation potential. Drawing greater attention to these connections and framing that as part of an ecosystem has the potential to not only free people from the tyrrany of having to create the best ideas, but also exposes the wealth of knowledge generated in pursuit of those ideas. Connections is the title of a book by science historian James Burke that draws on his successful British science documentary series that first aired in the 1970’s and was later recreated in the mid 1990’s. The premise of the book and series is to show how ideas link to one another and build on one another to yield the scientific insights that we see. By viewing ideas in a collective realm, we see how they can and do connect, weaving together a tapestry of knowledge that is far more than the sum of the parts within it. Too often we see the celebration of innovation as focused on the parts – the products. This is the iPhone, the One World Futbol, the waterless toilet, the intermittent windshield wiper or a process like the Lean system for quality improvement or the use of checklists in medical care. These are the ideas that survive. The challenge with this perspective on ideas is that it appears to be all-or-nothing: either the idea is good and works or it is not and doesn’t work. This latter means of thinking imposes judgement on the end result, yet is strangely at odds with innovation itself. It is akin to judging flour, salt, sugar or butter to be bad because a baker’s cake didn’t turn out. Ideas are the building blocks – the DNA if you will — of innovations. But, like DNA (and RNA), it is only in their ability to connect, form and multiply that we really see innovation yield true benefit at a system level. Just like the bakers’ ingredient list, ideas can serve different purposes to different effects in different contexts and the key is knowing (or uncovering) what that looks like and learning what effect it has. An alternative to the idea-as-product perspective is to view it as part of a wider system. This takes James Burke’s connections to a new level and actually views ideas as part of a symbiont, interactive, dynamic set of relations. Just like the above example of DNA, there is a lot of perceived ‘junk’ in the collection that may have no obvious benefit, yet by its existence enables the non-junk to reveal and produce its value. • (in general use) a complex network or interconnected system: Silicon Valley’s entrepreneurial ecosystem | the entire ecosystem of movie and video production will eventually go digital. 1 the branch of biology that deals with the relations of organisms to one another and to their physical surroundings. 2 (also Ecology) the political movement that seeks to protect the environment, especially from pollution. Biologists do not look at ecosystems and decide which animals, plants, environments are good or bad and proceed to discount them, rather they look at what each brings to the whole, their role and their relationships. Biology is not without evaluative elements as judgement is still applied to these ‘parts’ of the system as there are certain species, environments and contexts that are more or less beneficial for certain goals or actors/agents in the system than others, but judgement is always contextualized. Contextual learning is part of sustainable innovation. Unlike natural systems, which function according to hidden rules (“the laws of nature”) that govern ecosystems, human systems are created and intentional; designed. Many of these systems are designed poorly or with little thought to their implications, but because they are designed we can re-design them. Our political systems, social systems, living environments and workplaces are all examples of human systems. Even families are designed systems given the social roles, hierarchies, expectations and membership ‘rules’ that they each follow. If humans create designed systems we can do the same for the innovation systems we form. By viewing ideas within an ecosystem as part of an innovation ecosystem we offer an opportunity to do more with what we create. Rather than lead a social Darwinian push towards the ‘best’ ideas, an idea ecosystem creates the space for ideas to be repurposed, built upon and revised over time. 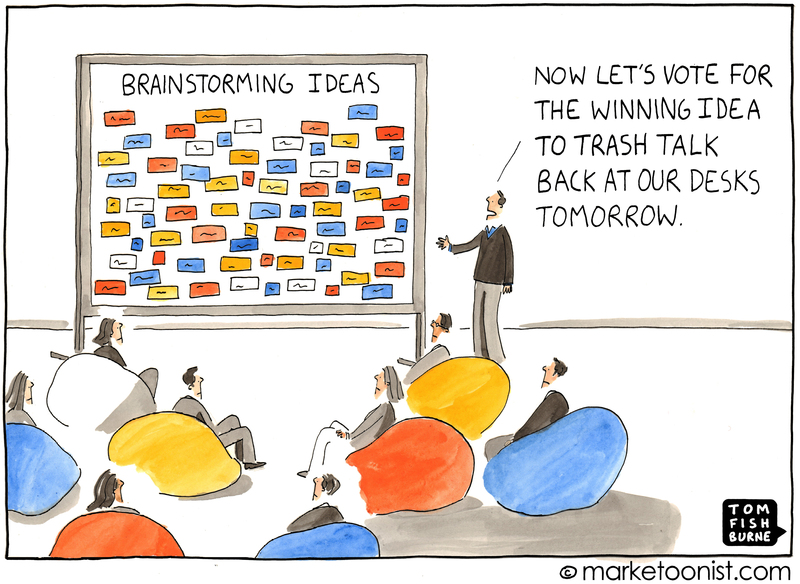 Thus, our brainstorming doesn’t have to end with whatever we come up with at the end (and may hate anyway), rather it is ongoing. 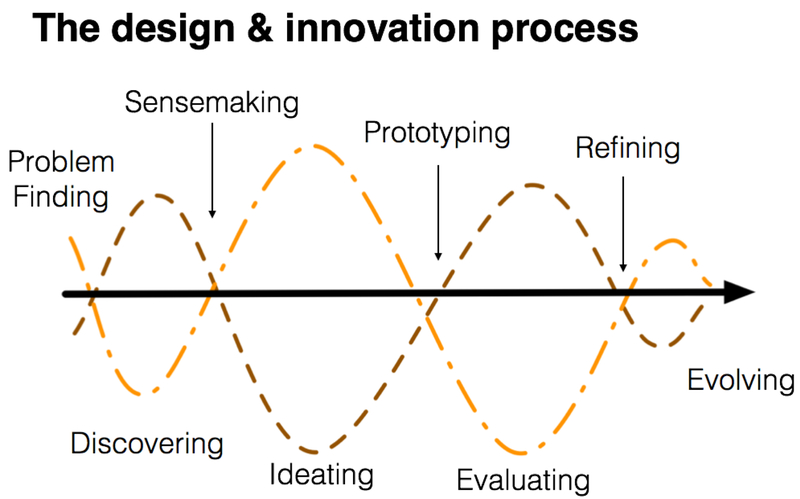 This commitment to ongoing ideation, sensemaking and innovation (and the knowledge translation, exchange and integration) is what distinguishes a true innovation ecosystem from a good idea done well. In future posts, we’ll look at this concept of the ecosystem in more detail. Consider recording your ideas and revisiting them over time. Scheduling a brief moment to revisit your notebooks and content periodically and regularly keeps ideas alive. Consider the effort in brainstorming and bringing people together as investments that can yield returns over time, not just a single moment. Shared Evernote notebooks, Google Docs, building (searchable) libraries of artifacts or regular revisiting of project memos can be a simple, low-cost and high-yield way to draw on your collective intellectual investment over time. * An innovation for this purpose is a new idea realized for benefit. Image Credits: Top: Evolving ecology of the book (mindmap) by Artefatica used under Creative Commons License from Flickr. Bottom: Brainstorming Ideas from Tom Fishburne (Marketoonist) used under commercial license. Economic changes are transforming business and work itself in ways that are having consequences well beyond supply chains and jobs, but the way employment spurs learning. A look at a recent change at a Toronto bookstore hints at a future that suggests we may want to think about what kind of economy we want not just the one we have. 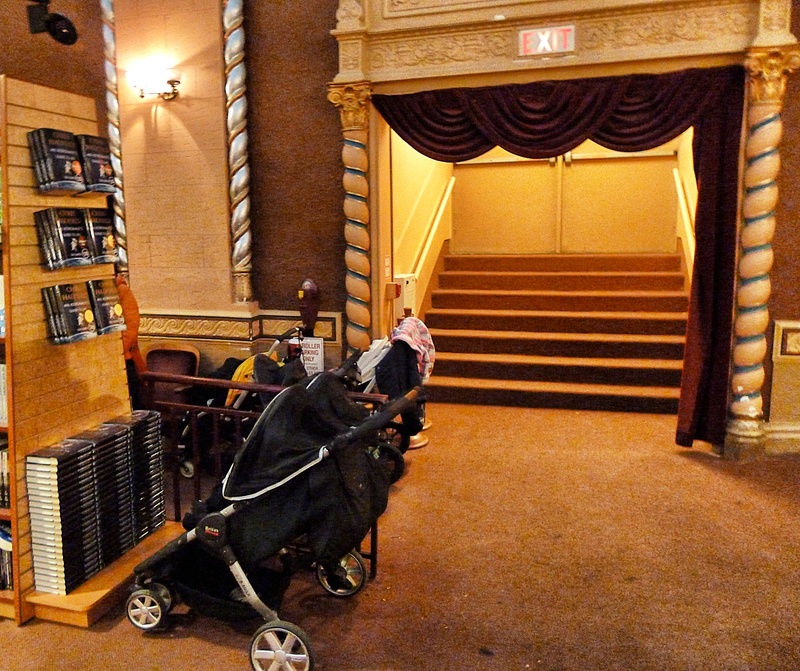 I recently learned that the Chapters bookstore occupying the former Runnymede Theatre in Toronto will be shuttering as its lease is taken over by a major drug store chain. 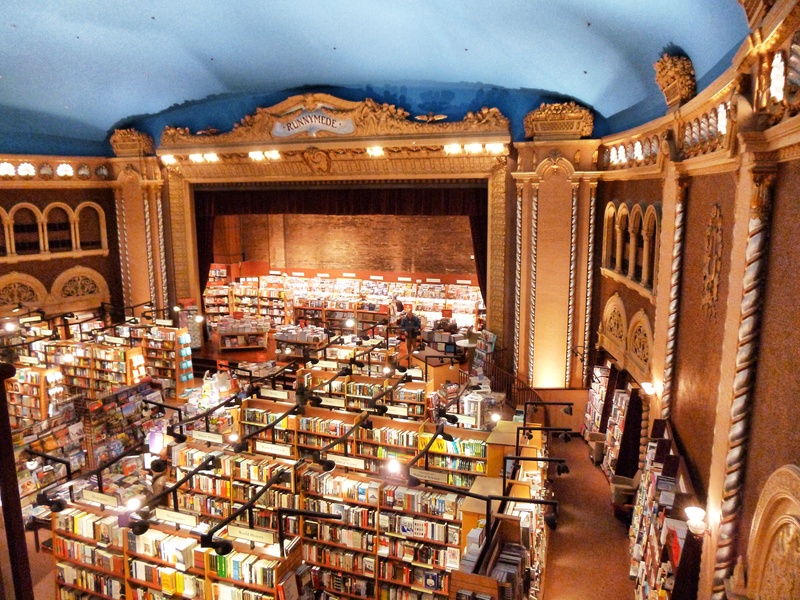 The bookstore, pictured above and below, is among the most beautiful you will find anywhere. It is also a meeting place for parents (mostly moms) and children, offering one of the few spaces for young families to gather in the neighbourhood. “It’s a real loss for the neighbourhood,” said Jill Zelmanovits, 41, a mother of two children, ages seven and four. She said staff at the store greet her by name and it is a gathering place for new moms with kids in tow. The change from a theatre to a bookstore was disruptive just as the next change will be as Shoppers Drug Mart moves in. However, it is worth considering from the perspective of social systems and economies what this change will mean beyond the shift in products and services being offered at the home of the Runnymede Theatre. Will the new drug store have stroller parking? While we see retail change all the time, this particular move was more emblematic of a larger systems trend that is worth noting. If one is to look at the origin of the Runnymede Theatre and what it did, one starts to see some aspects of an economic shift that might be worth paying attention to. When the theatre started as a vaudeville stage, the skill-sets required to run and grow the theatre were complex and portable. One needed to know about storytelling, performance, marketing, hospitality, logistics, and how to maintain a connection to the community to create the kind of shows that people wanted to pay for. These are skills that could easily be transferred into other contexts beyond the theatre, which made it an ideal place for engendering talent that could have transferrable benefit beyond one context. And as researchers like Keith Sawyer have noted, the benefits of theatre on creativity and group collaboration are significant. The bookstore is a step down from that. The roles are fewer, the jobs are simpler, but at least the product is something that inspires learning and there are still benefits for the customers beyond products (much like the inspiration that theatre-goers received). Bookstore staff are best when they read and share what they read with their customers; it makes them better salespeople and stock clerks. The inclusion of a children’s space with related programming for moms and kids adds a community benefit as well as requiring and providing additional skills to the bookstore staff. These might not be as comprehensive as those gained from theatre, but as a system the bookstore still confers benefits beyond just selling books. The next stage of the theatre is set for a drug store. If we take out the pharmacy (which is a minor part of the modern drug store’s revenue stream and purpose) the remaining aspects of a drug store require little skill to operate. Stocking shelves, directing people to products, and ringing through purchases (if the self-checkout option isn’t available) requires little knowledge or skill and confers little benefit beyond pay. Fewer jobs are full-time and fewer skills are needed so the pay is likely lower for each staff member as one would expect from this. None of this is intended to dismiss the workers themselves or drug stores, but it’s difficult to imagine many supplemental benefits beyond raw product and pay garnered by having a drug store in the building; no group collaboration skills, no meeting place for families, no knowledge of current affairs, no storylines. The story of the Runnymede Theatre is not about picking on the drug store, nor is it about being nostalgic for days gone by. It is about considering what kind of employment, community experiences, skills, and outcomes we get when we change our economy. As citizens and consumers we grow what we sow. Being mindful of what kind of things we ‘plant’ and the kind of experiences we pay for, demand, seek and design in our enterprises matters at a system level. Some might say that the market changed and that the theatre and its lease-holders are simply responding to that market, which is partly true. There is no one group that can or should be responsible for governing such shifts, but they are worth paying attention to. If we don’t, no one will. 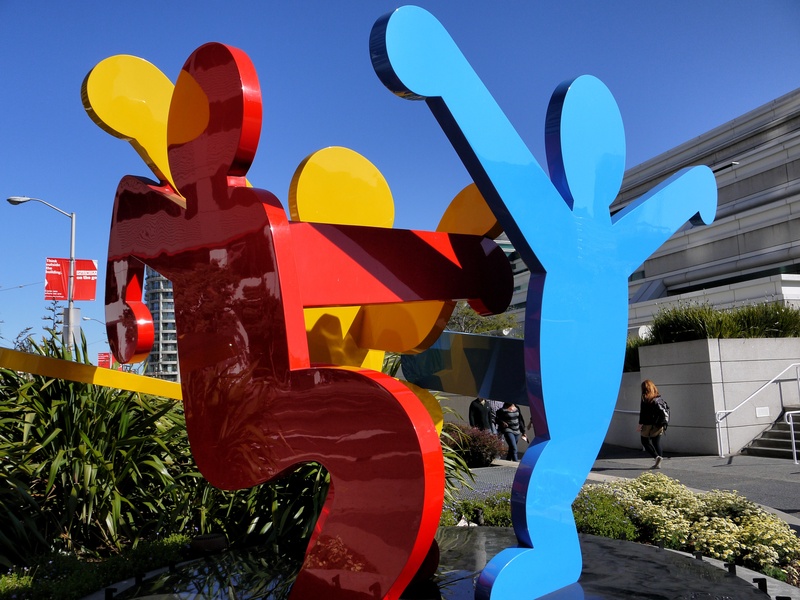 No better place to pay attention to is Seattle, Washington and the home of Amazon. As the annual consumerist sprint that starts at Thanksgiving in the United States began, viewers of the news program 60 Minutes were treated to a look at Amazon’s prototype plan for drone-powered package delivery. Once again, we were seeing Amazon do what it has done time and again: innovate the business of retail. Two weeks later, Canada Post announced that it was going to phase out home delivery in urban centres. (Soon, all mail will go to post office stations in centralized locations much like in rural communities). Amazon is seeking to revolutionize the way products are shopped for, ordered and delivered from books to groceries and more. In an interview earlier in 2013 with Fast Company, Amazon CEO Jeff Bezos outlined a bold plan for transforming the way products are ordered, promising the possibility of same day, even 2-hour delivery on anything a person needs. This is innovation at its clearest, yet are we innovating the systems that wrap around these new technologies and processes? If drones are delivering our books, robots picking them from shelves, and computer programs taking the order in the first place, who is working? Yes, some computer programmers will be employed, but the world isn’t full of or needs billions of programs or apps. What does the future of work look like? What are our choices in this? What kind of systems do we want and are we prepared to shape them? Greg Van Alstyne and Bob Logan defined design as “creation for reproduction” in a paper published in Artifact in 2007 (an earlier version is available here). Bezos and Amazon are designing the economy by creating tools, processes and ideas that are emergent and potentially self-replicating if spread. They are not the only ones with a say in the matter and every time we buy something, look at something and engage with a product or service we are voting with our wallet, consciousness and attention for what we want. It is worth considering how we design for the emergence of an economy we want, not just what is delivered at the drug store or by drone. How to maximize the creative potential of what you do? Becoming good at something is a huge start. But what if getting good at being a generalist is what you aspire towards? It’s an interesting challenge for those who see value in those with the kind of cross-disciplinary, multi-faceted sets of skills often needed to thrive in complex social systems, but resist specialization. What do you think? Be willing to work alone. Balance group time with alone time.